The snow monsters on Mt. Hakkoda are a natural work of art in winter. At sunset, the golden-lit views of these trees covered in rime are truly unbelievable. A famous mountain that is known for its beauty and is also otherwise known as the Mt. 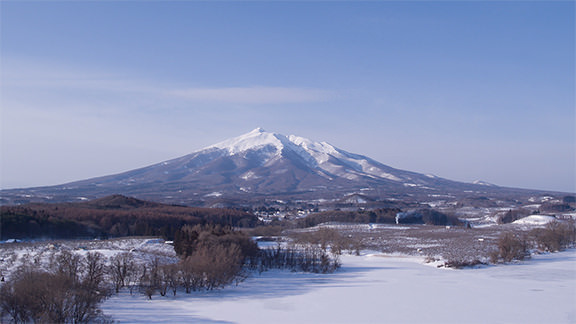 Fuji of the Tsugaru region. 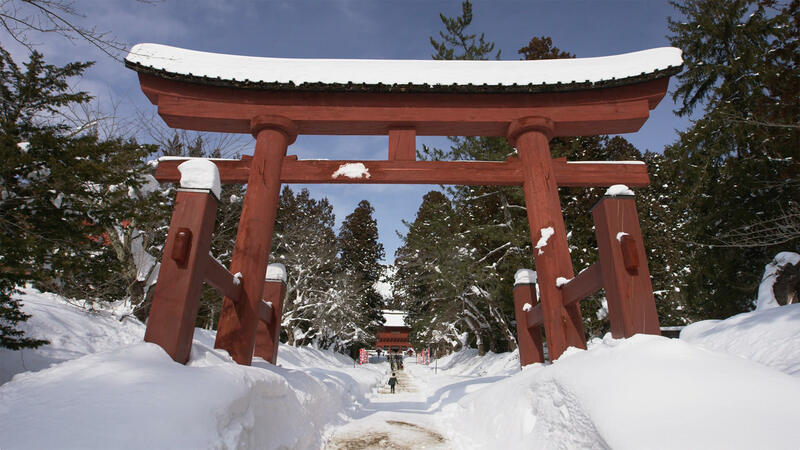 Covered in snow, it stretches out into the Tsugaru Plain, showcasing grand and divine views. 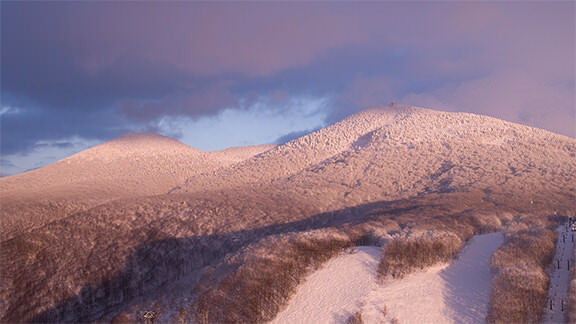 Winter sports are popular here and skiers enjoy a beautiful panoramic view. A plain in northwest Aomori which spans 20 kilometers north and south, and 60 kilometers east and west. In winter, it’s covered in snow as far as the eye can see. 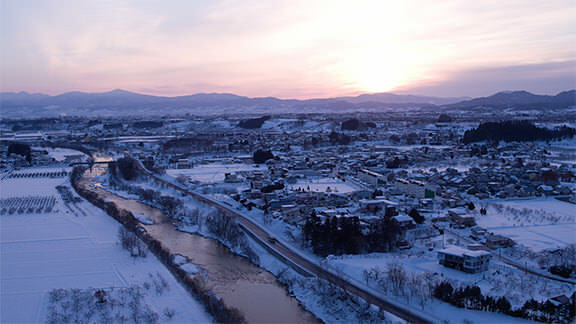 Iwaki River, which flows from the Shirakami Mountains, slowly runs through the plain into the Japan Sea. 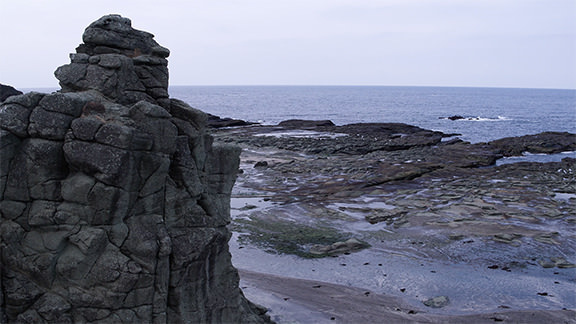 A coast with a long bedrock which was created by an earthquake in the late Edo era. There are many large rocks such as Daibutsu-iwa and Kabuto-iwa, and you can view the big ocean and craggy rocks from inside the JR Gono Line train. A shrine built 1,200 years ago to enshrine a local deity. Most of the remaining sanctuaries were built in the early Edo era and its majestic appearance is maintained largely by the faith of people. Hirosaki Castle’s castle tower was built in the Edo era and is the only remaining castle tower in Tohoku. 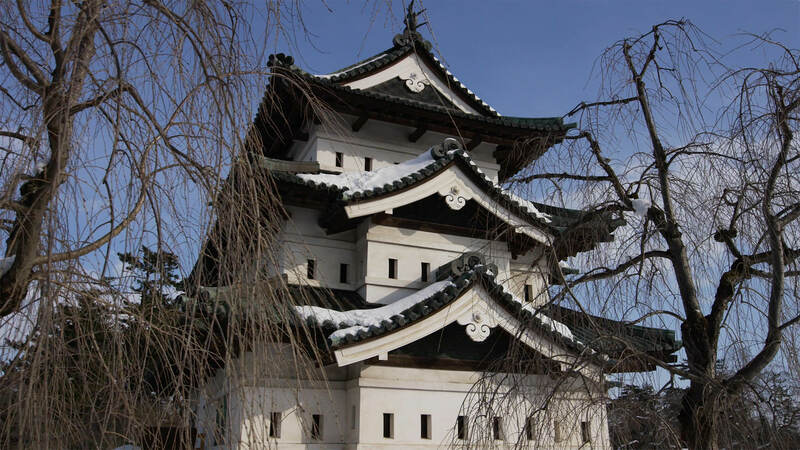 The fantastic Toro Festival, where the snow-covered castle tower and old pine trees are lit by lanterns, is Aomori’s winter tradition.